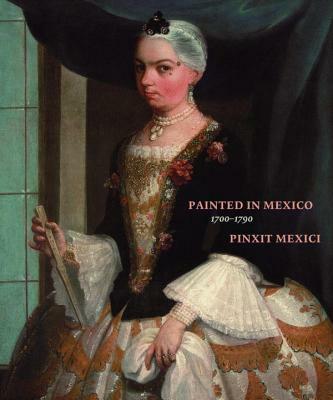 This beautiful and groundbreaking book provides the first in-depth reassessment of 18th-century Mexican painting, making accessible an extraordinary body of images, alongside compelling new scholarship. This stunning volume represents the first serious effort to reposition the history of 18th-century Mexican painting, a highly vibrant period marked by major stylistic changes and the invention of new iconographies. Exquisitely illustrated with newly commissioned photography of never-before-published artworks, the book provides a broad view of the connections of Mexican painting with transatlantic artistic trends and emphasizes its own internal developments and remarkable pictorial output. During this time painters were increasingly asked to create mural-size paintings to cover the walls of sacristies, choirs, staircases, cloisters, and university halls among others. Significantly, the same artists also produced portraits, casta paintings (depictions of racial mixing), folding screens, and finely rendered devotional images, attesting to their extraordinary versatility. Authored by leading experts in the field, the book’s essays address the tradition and innovation of Mexican painting, the mobility of pictures within and outside the viceroyalty, the political role of images, and the emphasis on ornamentation. Rounding out this volume are over 130 catalogue entries that offer new and authoritative interpretations. Ilona Katzew is Curator and Head of the Department of Latin American Art at the Los Angeles County Museum of Art.